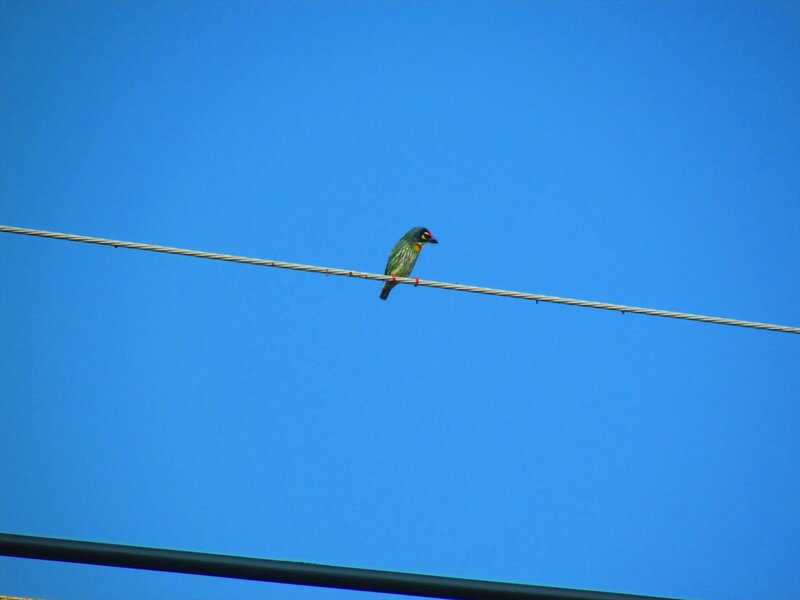 seen on koh samui in march - is some species of barbet? thank you! This looks like a Coppersmith Barbet. My book only shows India and South Asia so can't confirm whether they range that far East. I've seen them in southern India - nice bird. That's it! I checked eBird and it looks like they're definitely present in Thailand and throughout SE Asia. Adorable bird... thanks! 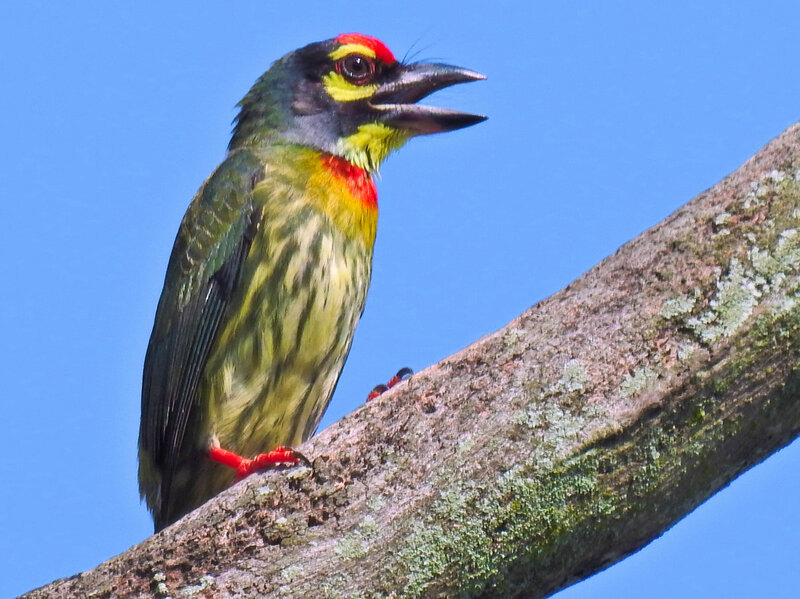 This is the Coppersmith Barbet, common where I am in Malaysia, south of Thailand. It has a very distinctive 'call' that is a 'metallic' sounding 'Tonk, tonk, tonk' hence the name of a coppersmith banging away at copper pots/pans? Just sharing a closer look at the Coppersmith Barbet, taken close to my home in Penang, Malaysia.